This is the first of my Christmas posts this year, so I hope you enjoy! 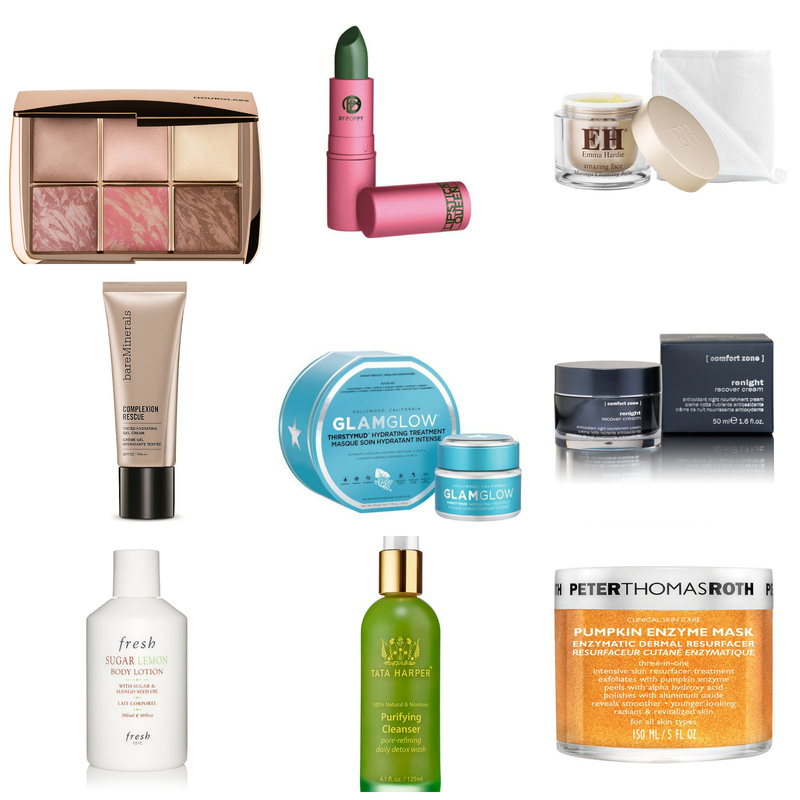 I’ve collated a Christmas Beauty Wish List of the products I’d love for Santa to bring me. Some are products I’ve lusted after for some time (Emma Hardie) or products I’ve swatched in store that I’ve then fallen in love with, but couldn’t justify buying for myself (Hourglass & Lipstick Queen), others are products that are recommended by the beauty gurus I follow (Caroline Hirons) and one product is something I used years ago and would love to use again (Comfort Zone). Have you tried any of the products on my wish list? What products are on yours? There will be more Christmas themed posts coming up so keep your eyes peeled. I have both the ambient lighting powder palette and blush palette. Honestly I’m not a huge fan of the powders, but the blushes are amazing. And Complexion Rescue has been one of my favourites this year! I think my wishlist is pretty much identical!